Dash camera fitting is what we do. 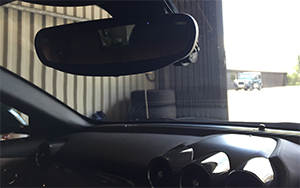 Our dash cam fitters are used to installing in a wide variety of vehicles across the UK. 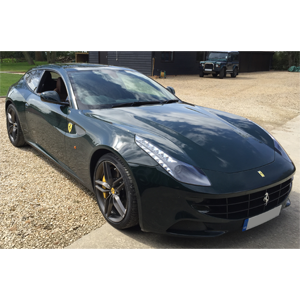 We couldn’t help but get a little bit excited when a customer recently approached us to ask for advice on what dash camera would be best suited to go in his Ferrari FF. 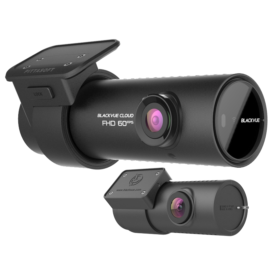 After a quick conversation with the customer it soon became apparent that the ideal dash camera would be the BlackVue DR650GW-2CH. 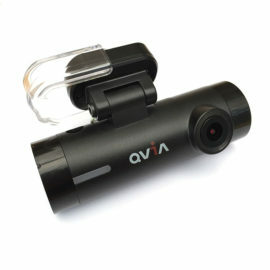 It has built-in WiFi making the footage easy to access, review and share. 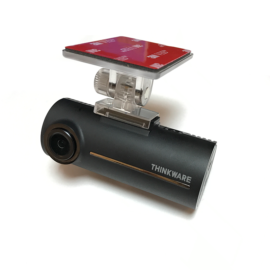 It has a separate front and rear camera for recording what’s happening behind the vehicle as well as in front and we know how to install them… Perfectly! 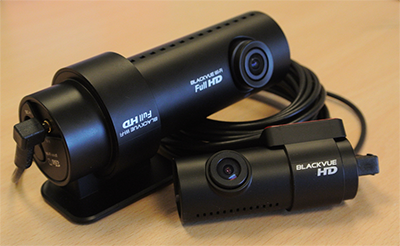 The BlackVue DR650GW-2CH has many more great features, such as parking mode for added security when you’re away from the vehicle. To see full details you can view the product pages or get in touch. 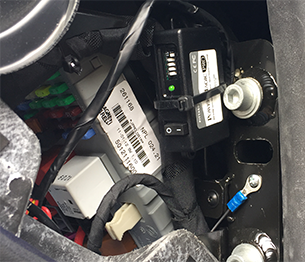 To provide the customer with peace of mind and confidence in our dash camera fitting service we explained that all installations are conducted using fuse tap adapters, no cables are cut and no warranties are voided. Very important for any vehicle, but imperative on one worth well over £150k. 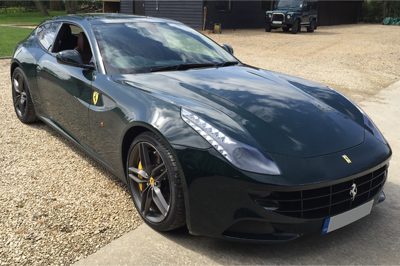 Reassuringly, our automotive engineers are trained and experienced in fitting dash cameras in high value vehicles. Once the customer was satisfied we could complete the work, a date was booked and one of our engineers attended the customer’s residence to complete the installation. The installation was a success and the customer was extremely pleased with the outcome. 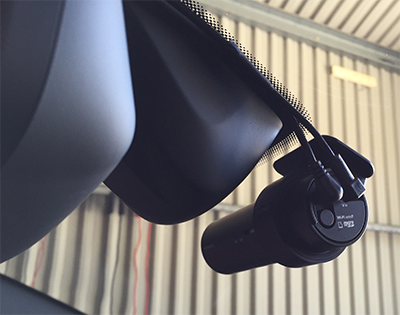 All of the cables are completely hidden and the BlackVue DR650GW-2CH is wired to a permanent live via a battery drain detection device. 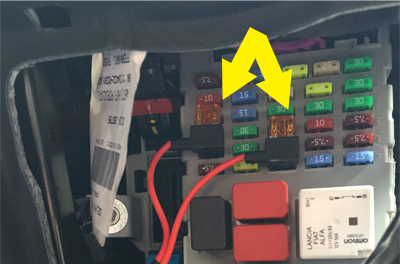 You can see in the image of the fuse board how neat the installations are when completed with the correct fuse adapters. 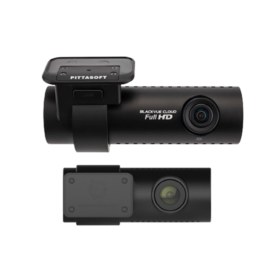 This provides the dash camera with its own circuit, avoiding interference with other devices and making it easy to remove if need be. Care was then taken to fit the Power Magic Pro device which monitors for battery discharge and cuts power to the camera if the vehicles voltage starts to drop. You can see that a convenient fixing point was found beneath the Power Magic Pro Device, allowing us to neatly earth the dash camera. Now that the dash camera has a permanent power supply it will stay on and switch to parking mode when the vehicle is left stationary. In this mode, recording will be triggered by either motion detection or via the G-Shock sensor if there is an impact. The next stage was to feed the cable up to the vicinity of the rear view mirror. Not the easiest job to complete in this particular vehicle but our talented engineer soon found a route. We then mounted the camera in such a way as to avoid being visible from the driver’s position, but still central enough to get a good angle of the road ahead. 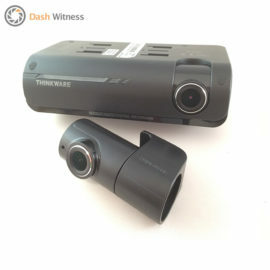 To connect the rear dash camera, a cable must be run from the front dash camera (as seen in the picture) all the way to the rear of the vehicle. Easier said than done! 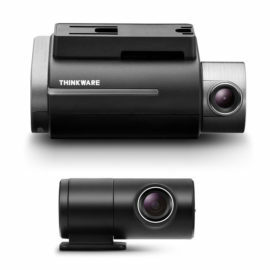 You can see in the picture below that the dash camera is nearly completely hidden from the drivers view. Once the linking coax cable had been run, the rear facing dash camera was fitted and the whole system was thoroughly tested. 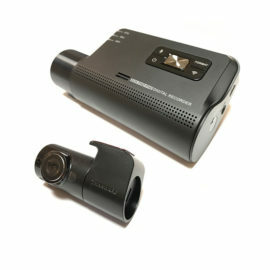 If you are looking for a fully installed dash camera solution, give us a call on 01865 598599 or use our contact page. We can tailor a package to meet your requirements and provide outstanding customer support should you have any questions or queries once the dash cam has been fitted.